I hope you had a great weekend and enjoyed your days off. Last week I accompanied two of our best clients and we drove almost through all Emirates to see the different hotels and their facilities. I am always enjoying these trips because it is really interesting to see all the properties even if you know them already. For sure it is really stressful and challenging most of the time, because you also need to check your mails, accompany the clients and make sure that you always are in time. But it is definitely a great opportunity to get out of the office and see which beautiful hotels are around you. After one week full of amazing food I need definitely a diet before we take off to South Africa but I am always really thankful for this part if my job and I really like these short kind of business trips. During the weekend most of the time I tried to relax and to sleep because I often went to bed late because I wanted to manage all my mails before I return back to the office. The weekend was perfect to rest a little bit and feeling more powerful for next week. I am so excited about our trip to South Africa and I can't believe to have some days off soon. We didn't plan anything in advance so we will do a lot of spontaneous activities and in the end of the trip we will attend the wedding from our friends who moved a short time ago to the US. I am sure that they have other traditions than in Germany and I am really happy to have the chance to experience this special event in such a beautiful country. I checked the weather forecast a few days ago and I am sure that I can take my new ruffle blouse with me. 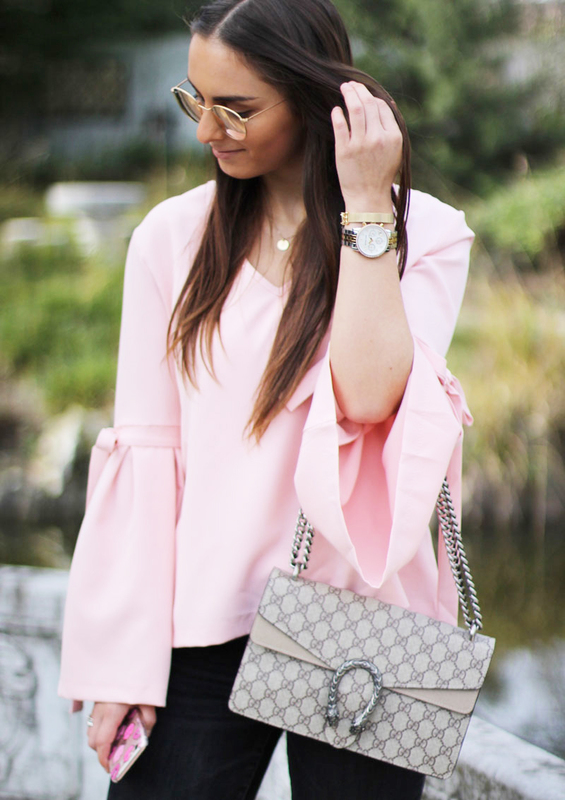 I think you noticed already that I am obsessed with pink clothes and especially my new ruffles blouse is one of my favorite pieces.